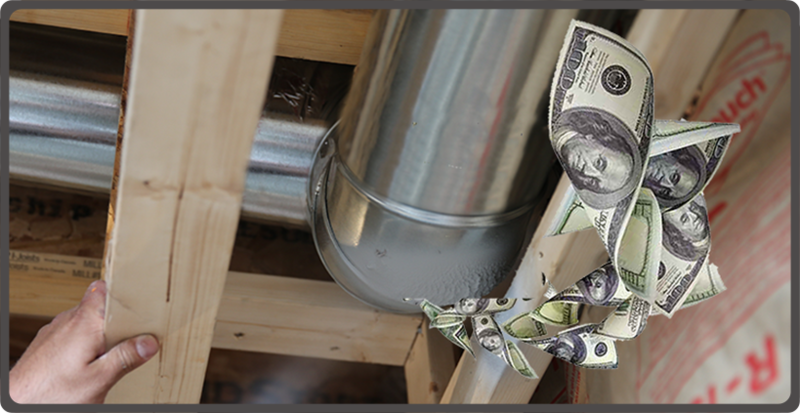 Did you know that industry experts say more than two-thirds of all ductwork in U.S. homes are leaking enough to need repair? In fact, most homeowners comfort complaints are due to ductwork leakage. Duct leakage can cause many issues, such as an overworking HVAC, hot or cold spots/rooms, indoor humidity, and poor air quality. If cleaning the duct work did not resolve the indoor air quality issues or you suspect you a have leak in your duct work our service professionals at Delcor can perform a test. They can pressurize the duct system with a calibrated fan while concurrently calculating the air flow and its effect on the pressure within the duct work. Our experts can determine a precise leakage measurement and give you an estimated efficiency loss.